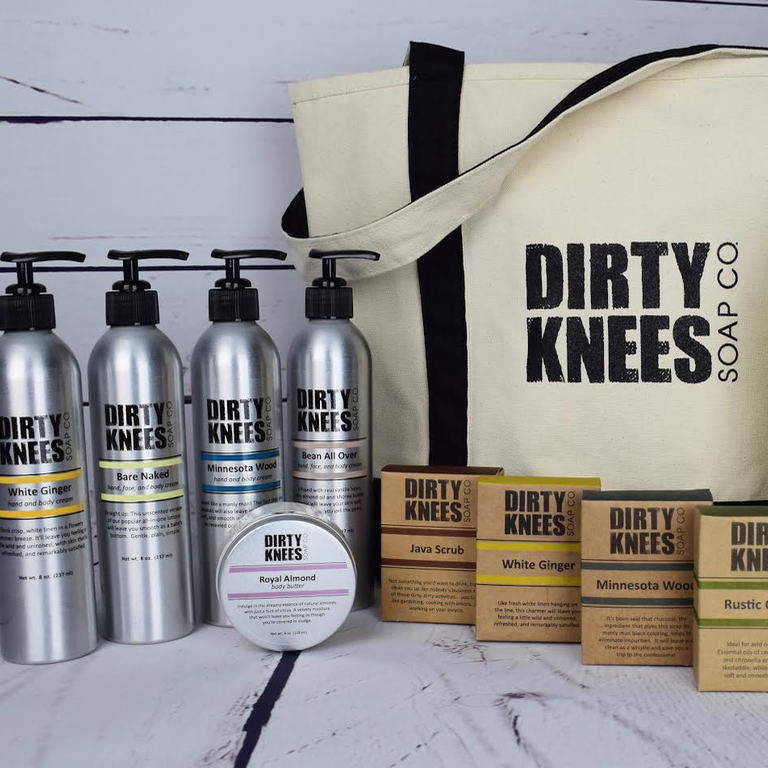 This case study features Dirty Knees Soap Co. and how they use TradeGecko. After receiving their first large wholesale order from a national chain, the business needed a solution to automate their order and inventory management process. We sat down with the company owner, Heidi Danos, who told us about their business journey, their experience with TradeGecko and more. When my twins were born, I became incredibly ingredient conscious. So, I decided to start making my own soap. And through trial and error, I managed to create a handmade bar that smelled awesome, maintained its shape, and didn’t turn into a big glob like some natural soaps do. From there, the business idea took off and the product line grew organically. For example, a friend asked if I could make lotion; I gave it a whirl and came up with lotions that were light, moisturizing and didn’t leave you feeling greasy. We focus on creating simple products with a limited number of ingredients. When was the last time your found a quality lotion made with only 7 ingredients?! How did you manage your inventory before using TradeGecko? We weren’t using an inventory management system. Our business ran on a SWOS system - See What’s On the Shelf. When did you realize you needed an inventory management system? After receiving a large wholesale order from Whole Foods, I knew I’d go nuts trying to stay on top of the inventory needed for that order, while also managing our other wholesale and day-to-day retail orders. That’s when TradeGecko swooped in and saved the day. I can’t imagine working without it. The platform definitely saved me a ton of time and helped us to prevent a ton of mistakes as we no longer had to manually transfer order information. How has your experience been with TradeGecko? We are currently integrated with Shopify for eCommerce, Xero for accounting and ShipStation to manage all of our shipping needs. Once these platforms were integrated with TradeGecko, I input my first wholesale order and had a eureka moment. For the first time, I could see and track my entire inventory workflow. I can't believe I didn't do this sooner... it’s pretty freakin' awesome! We currently have multiple product lines and almost 30 SKUs. We’re also managing retail & wholesale and I can’t imagine not having TradeGecko as my inventory and order management solution! You just mentioned you use Shopify for eCommerce - why did you choose Shopify? We first setup our online store with a Wordpress Blog. Pretty soon, we realized it didn’t have the eCommerce functionality to help scale our business. While doing some online research, it became apparent that Shopify provided the best value and app integrations we needed. It has been easy to maintain a professional looking website with little effort on our part through Shopify! What was it like when integrating Shopify with TradeGecko’s platform? The integration was been easy and fast with awesome customer support from TradeGecko. Whether we’ve messed something up, or we have a question about the best way to approach a specific situation, the team has always been very responsive and eager to assist. 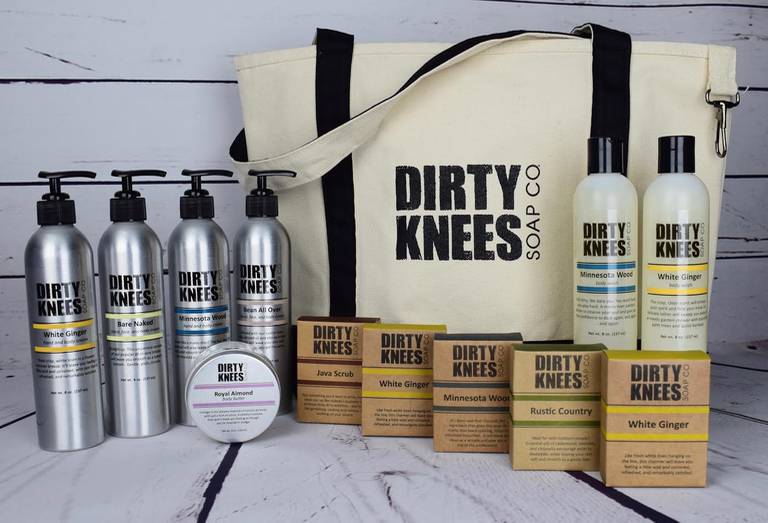 What's next for Dirty Knees Soap Co.? We see a lot of growth happening in the next year with the addition of new products, new wholesale accounts, and strong retail growth. There’s no doubt that TradeGecko will work seamlessly with us as we grow. If you think your business is not worthy of an order management system like TradeGecko, or that you can’t afford it, you’re wrong. 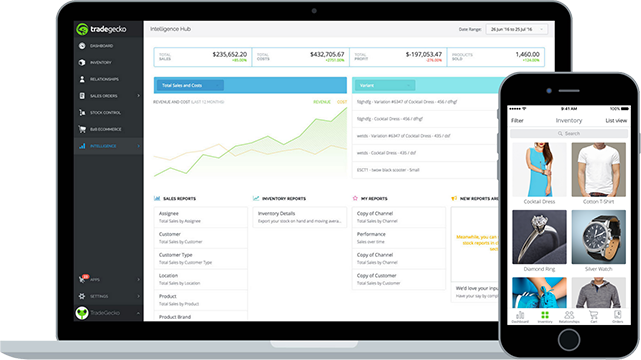 You can’t afford NOT to use TradeGecko. When you think big, you grow big. TradeGecko will save you time, prevent a lot of mistakes, and is totally worth it! TradeGecko automates your inventory and order management, so you can focus on growing your business.